Young Woman Eating Tasty Asian Vegetarian Or Vegan Soup Served In Black Bowl On Grey Table. View From Above. Horizontal. Lizenzfreie Fotos, Bilder Und Stock Fotografie. Image 114631637. Standard-Bild - Young woman eating Tasty asian vegetarian or vegan soup served in black bowl on grey table. View from above. Horizontal. 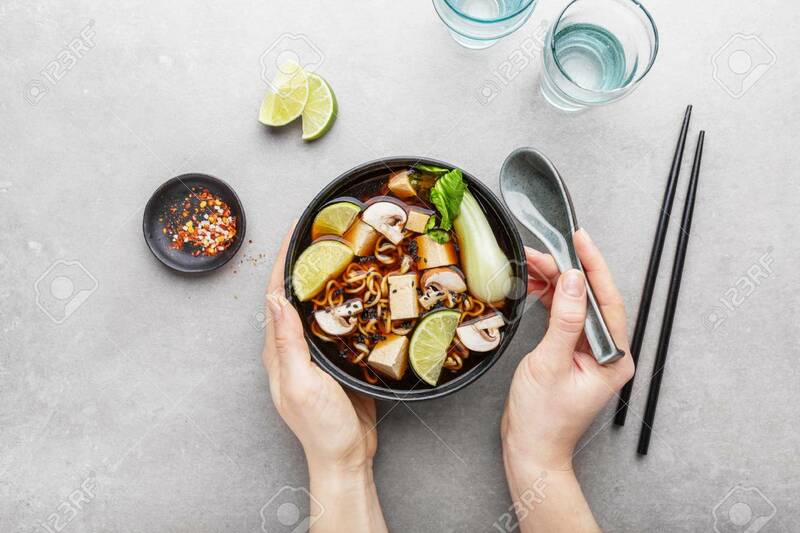 Young woman eating Tasty asian vegetarian or vegan soup served in black bowl on grey table. View from above. Horizontal.